Men with boxes for heads. Walk into the burgeoning contemporary art galleries in Hanoi and you might find yourself looking at a curious painting of men in suits with boxes for head. Chances are, you’re looking at the work of Nguyen Dinh Vu. 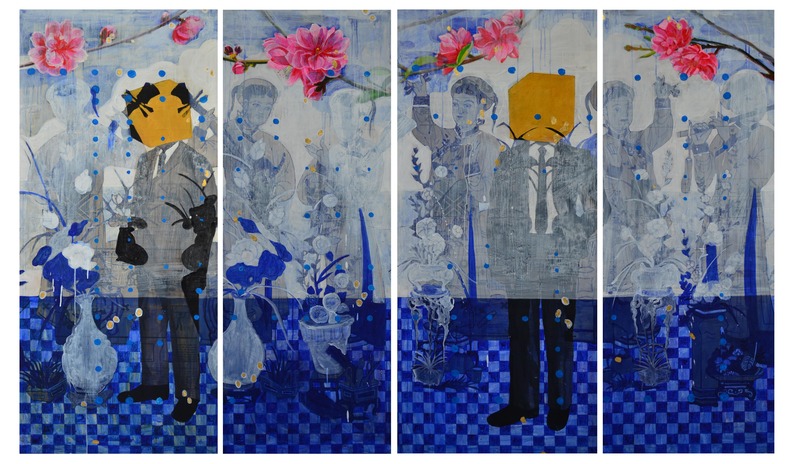 In his career as an artist, Dinh Vu has repeatedly visited the image of men in suit with a box for a head and the motif continues to evolve with each iteration. The blank box is a replacement for the face and a representation of how multifaceted people are. Because people bring different ‘faces’ to different situations, it’s almost impossible to capture all the ‘faces’ of a person. 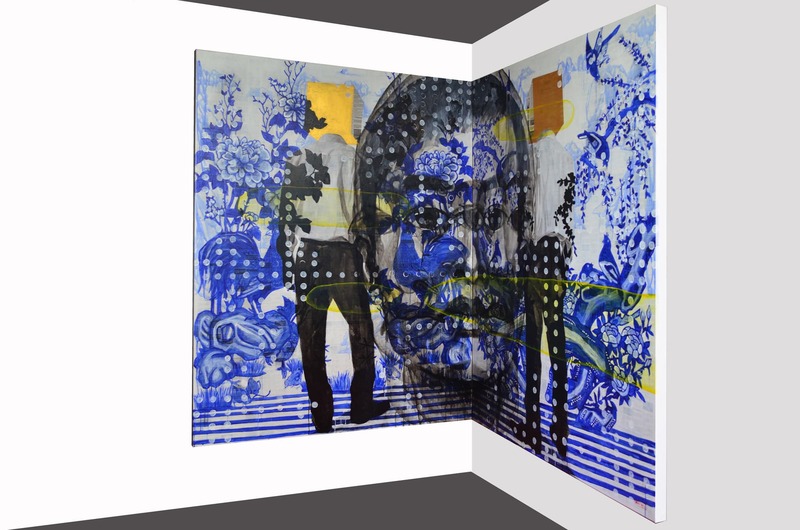 According to Dinh Vu, his art practice is an attempt to capture this reality. One day, my daughter was playing with cartons and she carried a carton on her head. I asked her, what she was doing? And she answered that she did that to sit and think. And then, I thought, if an artist wants to develop himself creatively, keep up with modernity all while maintaining a basis of national culture, what he really needs is a silent space to contemplate. This is when I got drawn to the motif of putting a carton over your head as it creates this room for one to reflect. The characters are often in office attire because they represent modern people in industrial society. In a way, they are all looking for the ways to develop their own creativity and keep abreast with the times but they still have to retain their connection to national culture. I think that life is always changing and my characters are the same. When an artist finds a direction to develop his career, his ideas will be influenced by many factors around him. The Tetris rendition struck me when I was playing Tetris. It resonated with me as an artist because you don’t know what would happen but you must still try to control everything so they fall in place in the right direction. I’d like to experiment with this style on silk next time.